Huawei subsidiary Honor has unveiled its latest offering, the oft-rumored Honor Note 8 with a colossal 6.6-inch display. The screen on the new phablet is of the QHD (2,560 x 1,440 resolution, ~443 PPI), 2.5D curved Super AMOLED variety that’s driven by a HiSilicon Kirin 955 octa-core processor (four Cortex-A72 cores @ 2.5GHz and four Cortex-A53 cores clocked at 1.8GHz) and a Mali-T880 MP4 GPU alongside a healthy 4GB of RAM and up to 128GB of local flash storage (expandable via microSD card up to 256GB). There’s a 13-megapixel, f/2.0 aperture camera on the rear with autofocus, optical image stabilization and dual LED flash, a 5-megapixel front-facing shooter with f/2.0 aperture that’s capable of 1080p recording, 802.11 a/b/g/n/ac dual-band Wi-Fi, a USB Type-C connector, dual SIM support, a 3.5mm audio jack and so on. The Honor Note 8 is powered by a non-removable 4,500mAh battery and will ship running Android Marshmallow version 6.0.1. It’ll be offered in your choice of white, gold and gray color schemes. 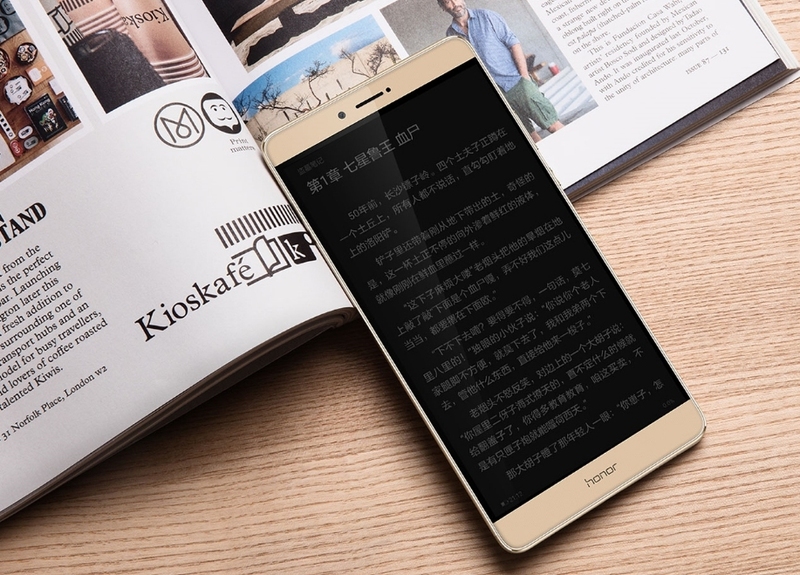 Honor also unveiled a more modest smartphone – the Honor 5 – that packs a 5-inch, 720p display, a quad-core MediaTek processor, 2GB of RAM and 16GB of local storage plus an 8MP rear camera and dual SIM cards for just 599 RMB ($90). Look for it to go on sale in China beginning tomorrow. The Honor Note 8 launches in China on August 9 priced between 2,299 RMB for 32GB ($346) and 2,799 RMB for 128GB ($420). The good news for those stateside is that Honor is planning to bring the handset to the US at some point in the near future although no specific date has not yet been set.